As one of the security’s top brands, Avigilon has always been at the forefront of innovation in video surveillance and analytics. Regularly releasing new technologies and devices that build on their successful platforms – like Avigilon Control Center and H4 cameras – Avigilon has been redefining what intelligent analytics and proactive surveillance mean for commercial enterprises and law enforcement agencies in 2019. Here are some of the latest tech and products they’ve come out with. 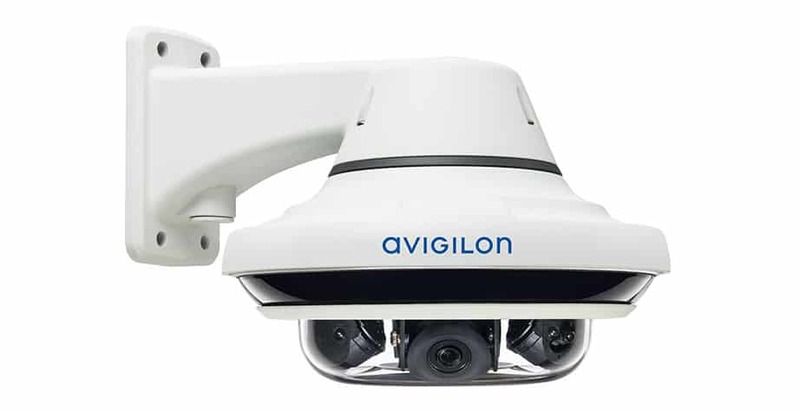 At the end of 2018, Avigilon revealed their new H4 Multisensor Camera, built off their popular H4 platform and one of Avigilon’s most powerful cameras yet; it offers offering nearly-unlimited options for field-of-view and powerful surveillance. It does this by including 3 or 4 individual camera sensors, each of which can be configured and setup independently. The result? Extra-wide field-of-view. The 3-sensor camera can be setup to cover angles ranging from 180-degrees to 270-degrees. With a 4th sensor, you can set it up to cover a full 360-degrees; head over to their Youtube channel to see a demonstration. For example, you can cover 180-degree T-sections, entire outside building corners. If you need to cover an entire 4-way intersection or room interior, you’ll want to use the 4-sensor camera; you can even configure it to record vertically for a top-down view. Video quality and resolution is excellent, too. The 3-sensor camera maxes out at 24MP, while the 4-sensor camera hits 32MP. 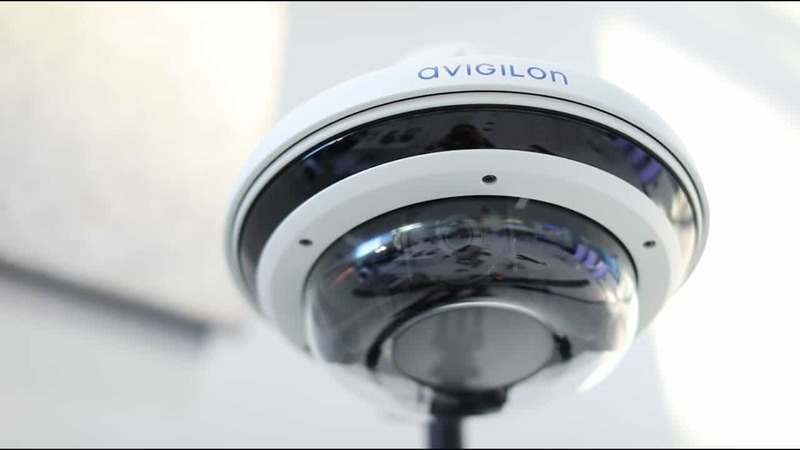 Megapixels and 360-degree video don’t mean anything if the camera can’t see anything, and Avigilon knows this. While their H4 security cameras already have powerful lighting tech, like Wide Dynamic Range and Avigilon’s LightCatcher technology, Avigilon rolled out their new Content Adaptive IR with the MultiSensor. Content Adaptive IR comes courtesy of a 360-degree LED ring placed around the camera lens. The LED’s automatically adjust intensity in response to objects in the video: dimming themselves to keep from overexposing objects in the foreground, while increasing to illuminate objects further from the lens – up to 100 feet away, in fact. The result? Clear and useable video no matter what lighting you’re recording in, and in whatever direction the H4 is focused. 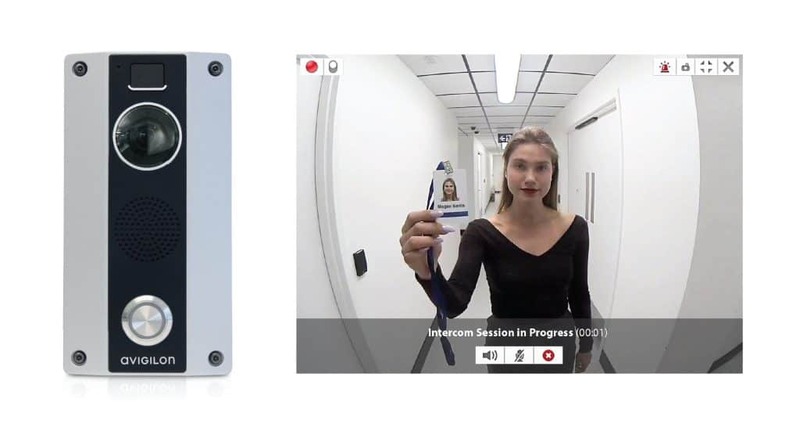 For the H4 Video Intercom, Avigilon rolled their H4 platform into a small package for identifying visitors at the front door. The H4 Video Intercom has everything a good video intercom should – like a 3MP camera and weatherproof housing. But the major selling point is the two-way audio communication. A two-way intercom lets you can speak with outside visitors remotely and verify their identity before granting access to your building. That’s done through Access Control Management (ACM). If you’re looking for ways to ramp up yet simplify your visitor management, you might like the H4 Video Intercom. Appearance Search and other self-learning analytics are also included, alerting you if the visitor is a person of interest and letting search doorbell footage any time. 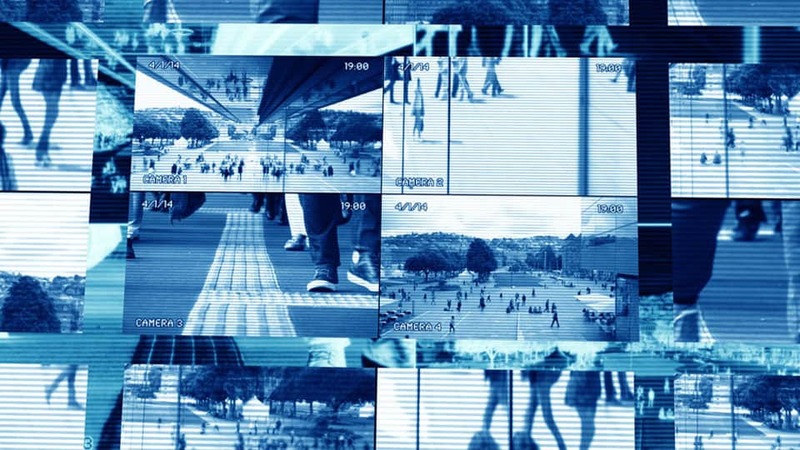 Video Analytics: What is Appearance Search and Self-Learning AI? 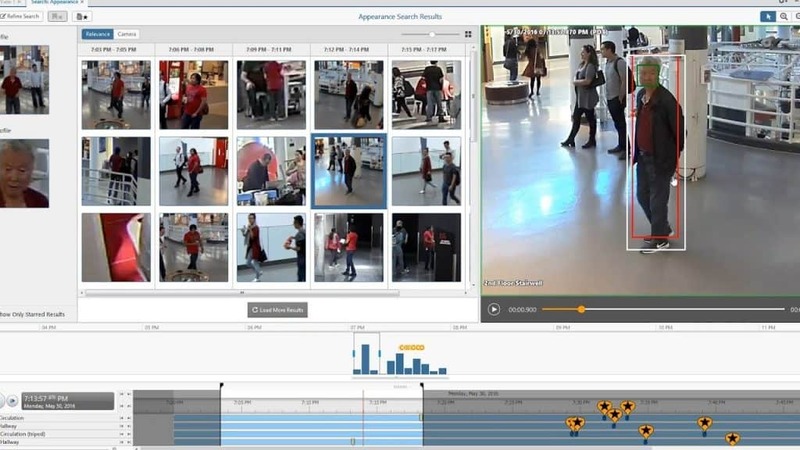 Appearance Search and Avigilon Control Center (ACC) have already established as some of the best video analytics and video management software in the industry. The latest improvements only confirm it. 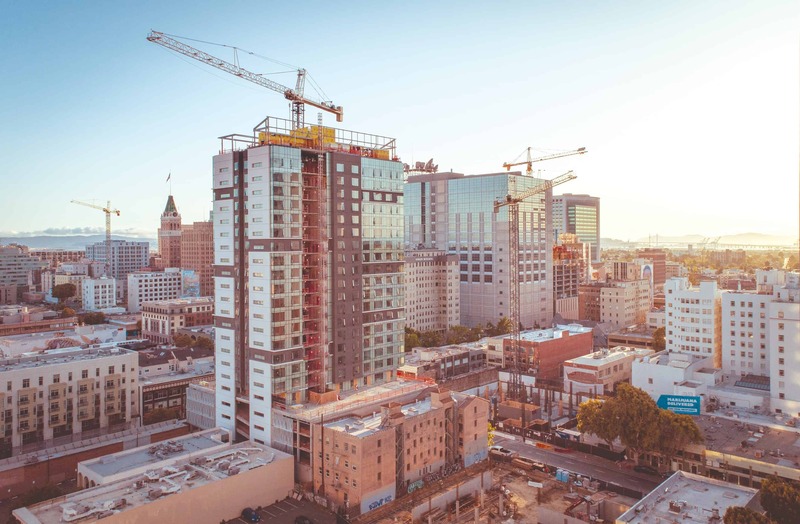 “Right out of the box, [Avigilon cameras] know half a million people figures, objects, behaviors,” says Garry Sherry, Avigilon’s Regional Sales Manager of Video for the California Bay Area. The self-learning nature of the analytics AI means that number can only grow as more objects and individuals become recognized. On top of that, there are hundred of unique parameters and characteristics that Appearance Search can be customized to flag, from specific motions to facial characteristics and gait. The proactive security measures this enables are massive. For example, when a flagged individuals or persons of interest enter the frame, Appearance Search instantly recognizes them and can be setup to instantly lock all access points and doors – thanks to integration with Avigilon’s ACM. Appearance Search can also find dozens if not hundreds of appearances by a person of interest across thousands of hours of footage before creating a virtual storyboard of their appearances. “All within 5 minutes and going back months [of footage]” says Sherry. ACM integration also enables Identity Search, a new function of Appearance Search that allows you to quickly search for video footage of persons across an entire site simply by selecting their access control credentials and cardholder information – which often contains a photo. New features in Appearance Search for 2019 include the ability to initiate Appearance Search over multiple ACC sites – allowing you to cover multiple locations from a single place – as well as improved AI controls for setting custom parameters for identifying object and behaviors. There’s also the new Blurred Export tool, which will blur the entire video except for flagged persons or objects in order to maintain compliance with data privacy. The sheer potential of Avigilon’s integrated systems for effective security is obvious, which is why so many enterprises and agencies are switching over. In the past year alone, according to Sherry, 19 police departments in the San Francisco Bay Area have started implementing Avigilon systems. 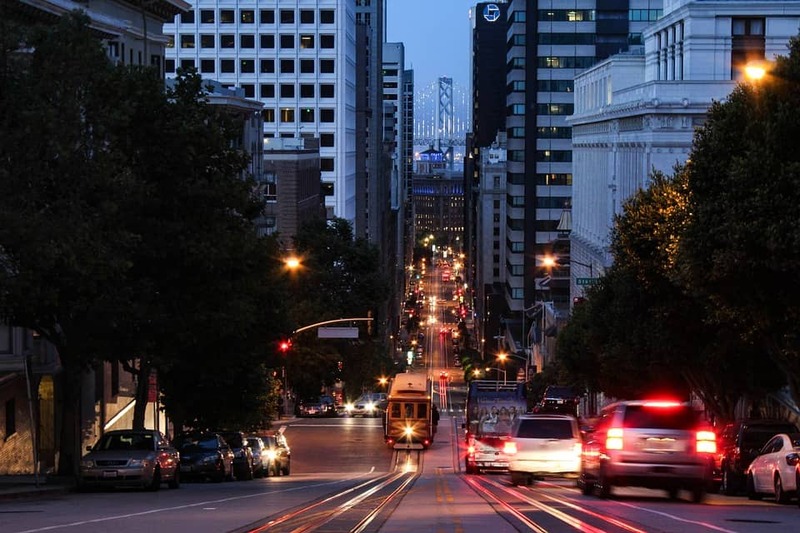 The City of San Francisco, for example, already has 500 Avigilon cameras with Appearance Search monitoring some of the city’s most popular and lively areas – like Union Square and Pier 39. They expect to have a total of 1200 Avigilon cameras up by March 2019.